Horseriding with trained horses along routes both beautiful and appropriate for horseback tours. 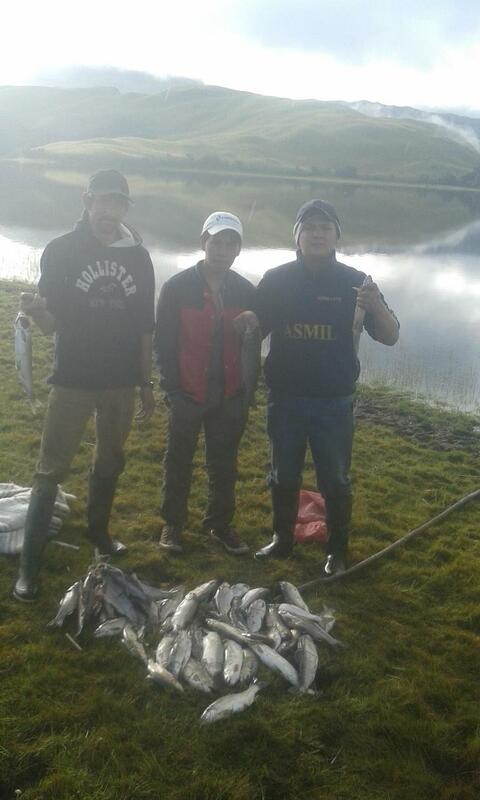 Fishing in their trout pools or in the river, with your catch cooked for you by Piedad. Milking cows by hand (just as they do each morning), and then making cheese. 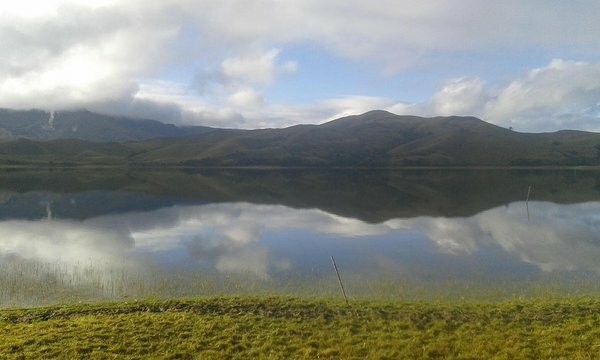 Carlos also offers camping tours to the Piñan lakes, where there is trout fishing and great scenery. Difficulty rating: The day of activities on Piedad and Carlos's Finca is rated easy. The Piñan lakes trail is intermediate - this is a long, uphill trail, around 9km (7 miles) to reach the lakeside camp-site. Clothing and equipment for Piñan lakes: Rubber boots, rain coat, change of clothing, insect repellent, camera, hat. The cost of the finca activities (a day excursion) is $25 per person, to include horses, guide, and home-produced or wild trout. The cost of the Piñan lakes excursion is $40 per person per day, which includes horses, fishing and camping equipment, guides and meals. It's fine for groups to negotiate a discount, direct with Carlos.